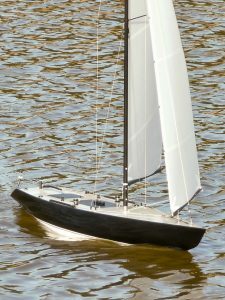 “Dark Horse is a 1:7.5 scale model of a Six Metre by American designer Paul R Kotzebue. The 2013 design is simply called K-6mR and drawings were available as a free download from the Paul Kotzebue website. 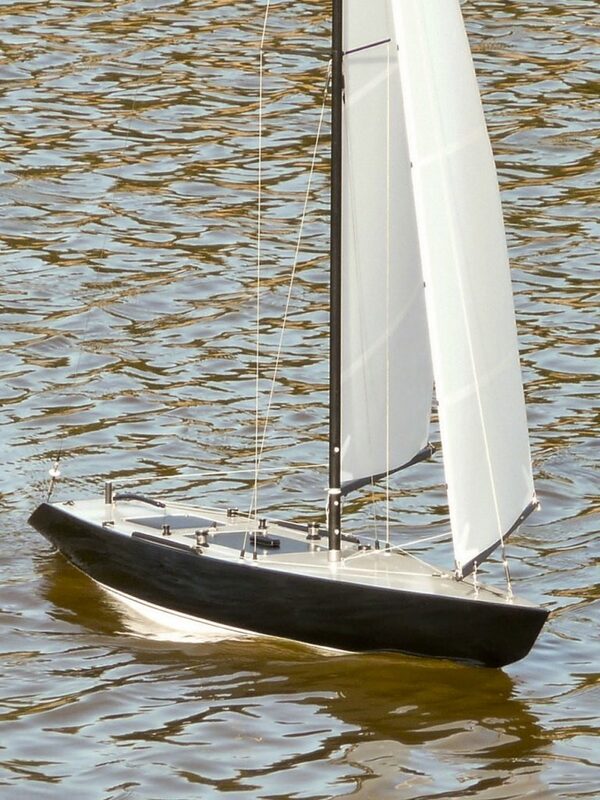 I have made minor modifications to the model to allow for “scaling” factors such as adding 5mm to the trailing edge of the rudder and increasing the ballast weight slightly (about 8% to allow for crew weight!) 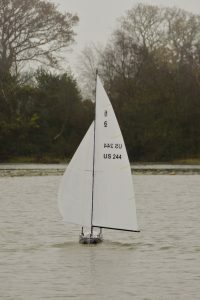 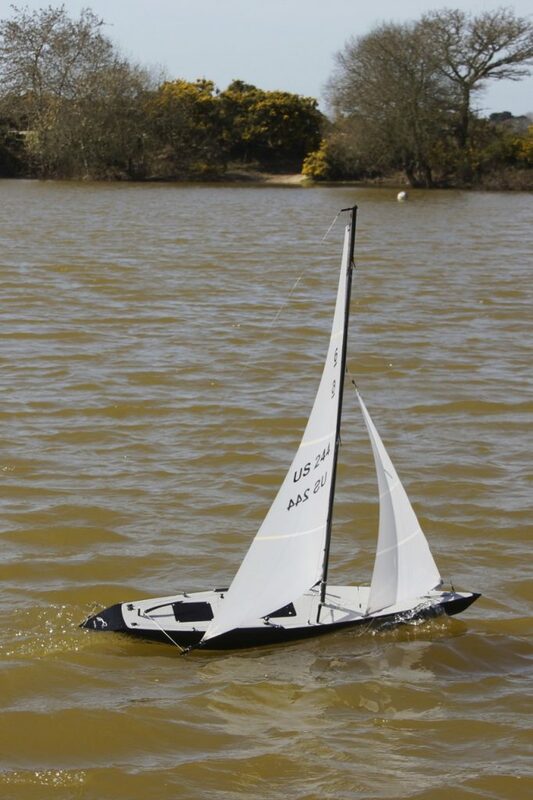 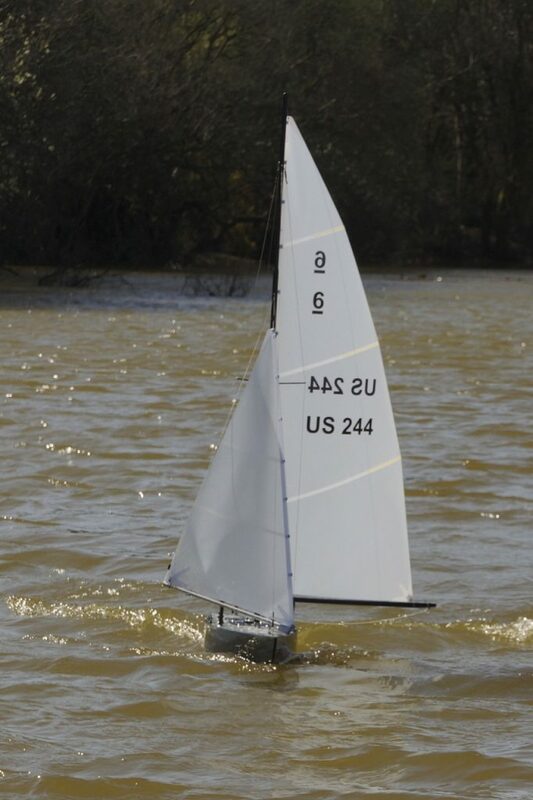 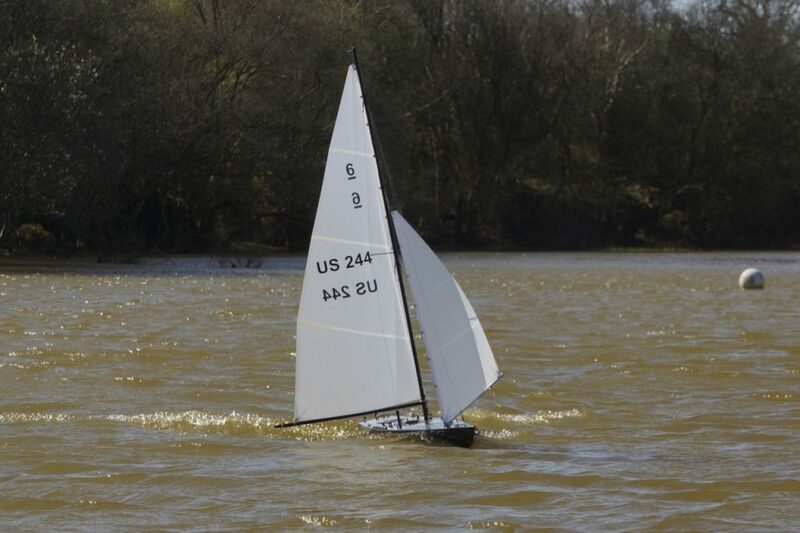 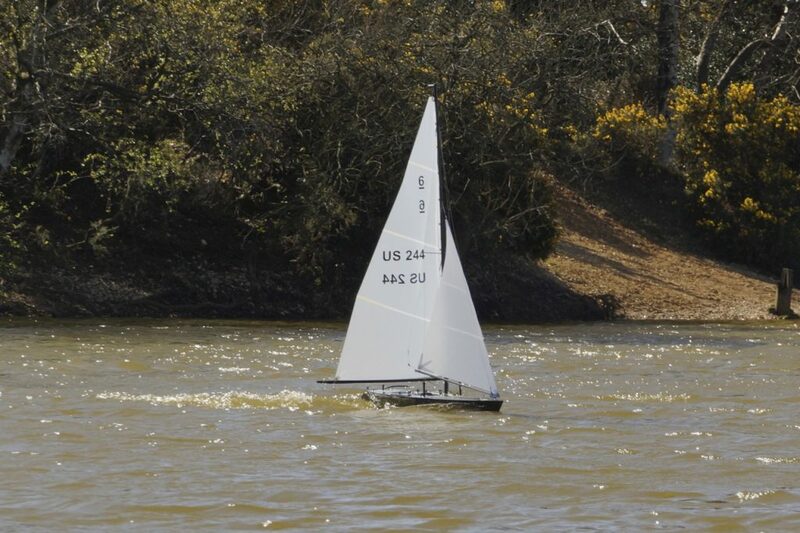 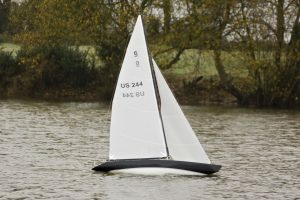 but I have found that the scale keel depth is fine. 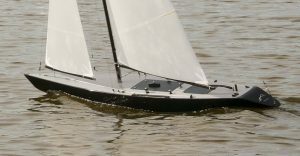 The hull construction is balsa plank with two layers of glass fabric externally and one layer internally, reinforced locally at stress points. 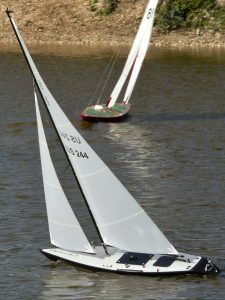 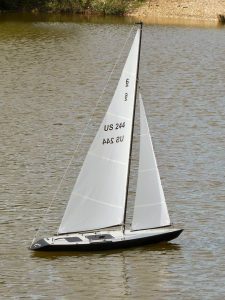 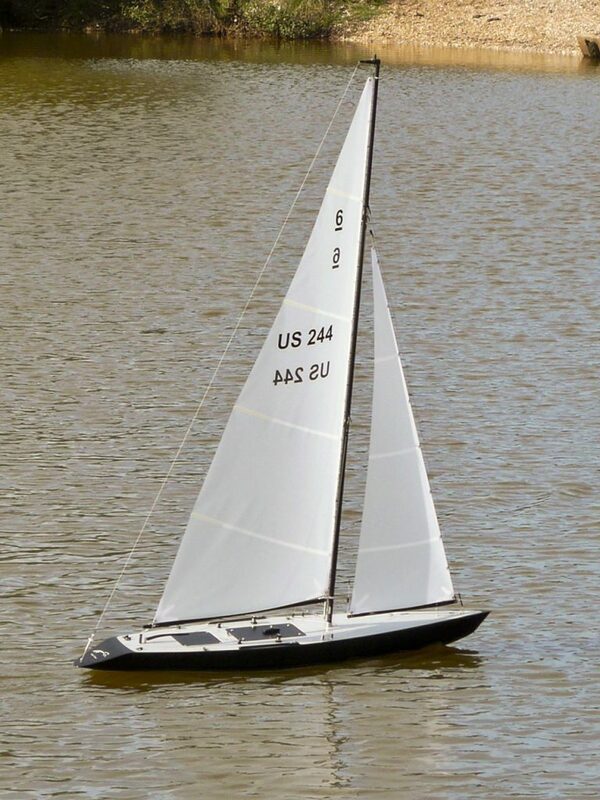 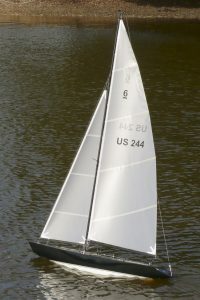 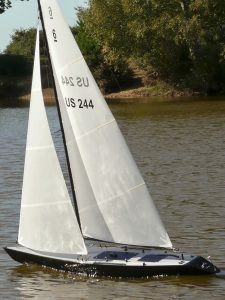 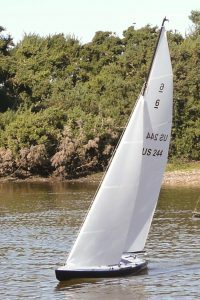 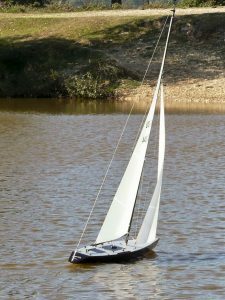 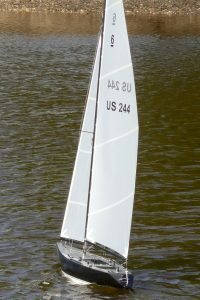 The boat can be rigged with conventional jib on a boom or a 140% genoa. 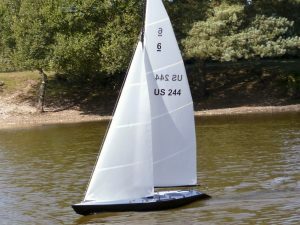 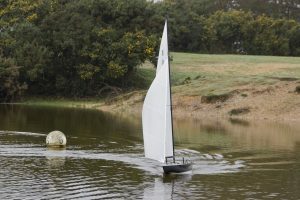 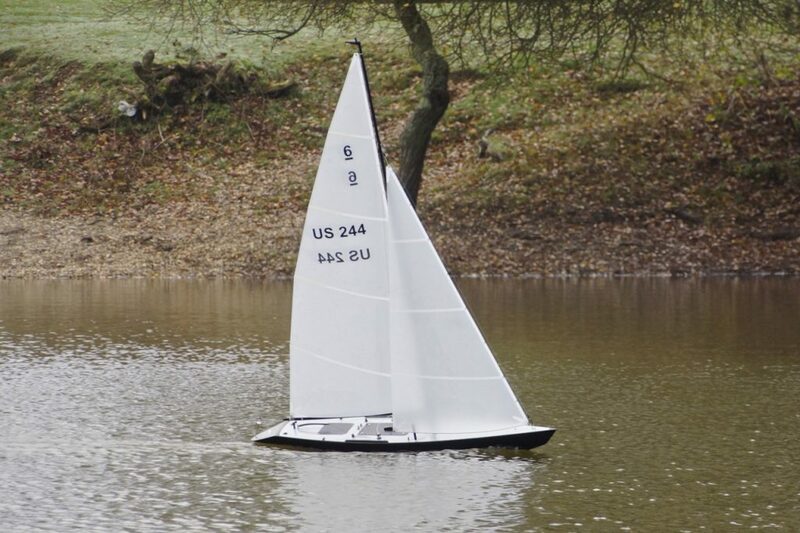 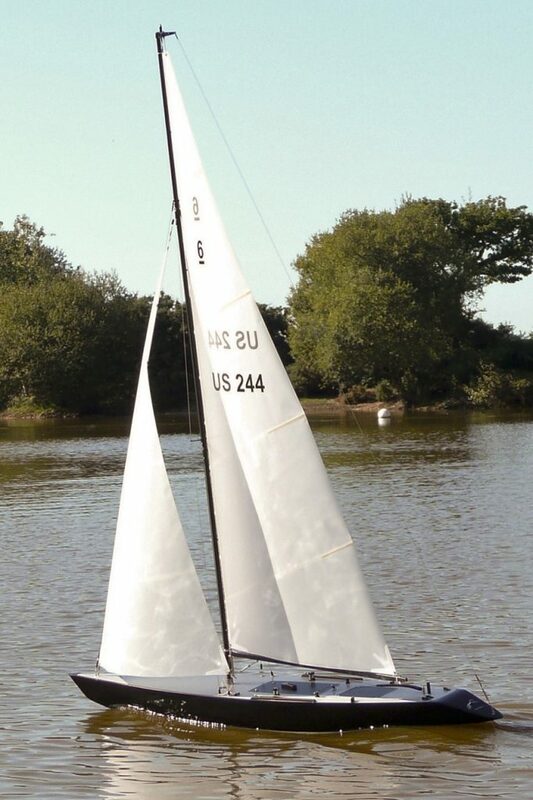 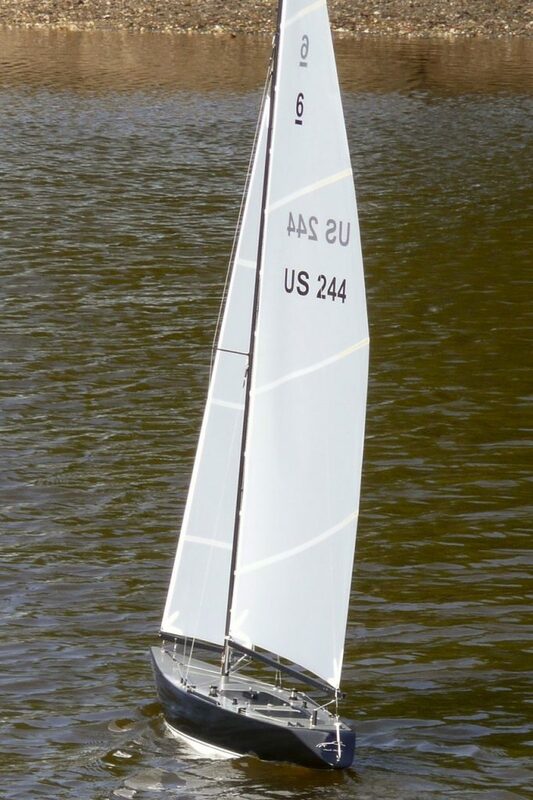 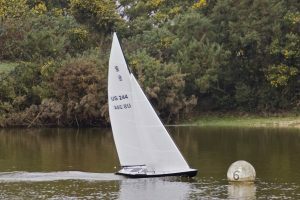 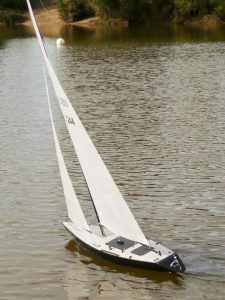 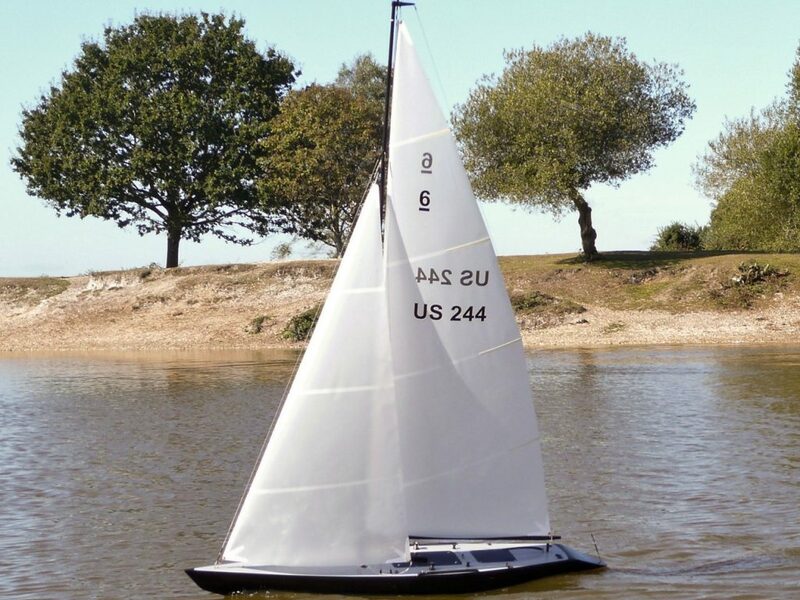 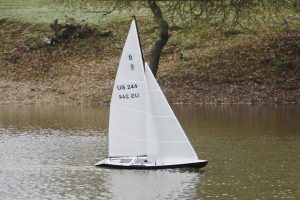 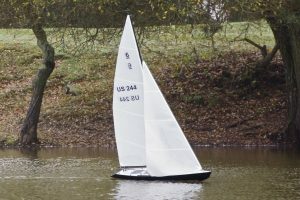 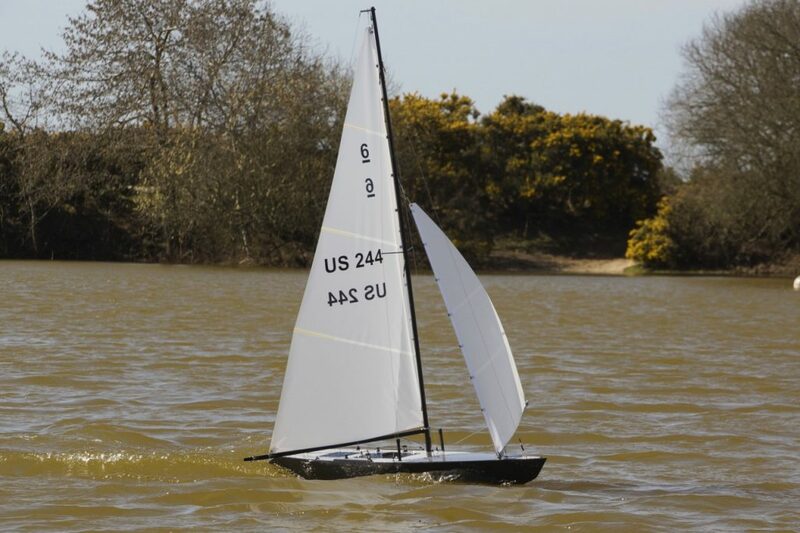 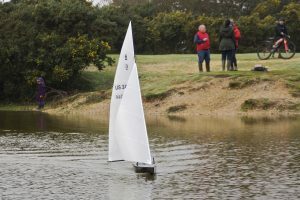 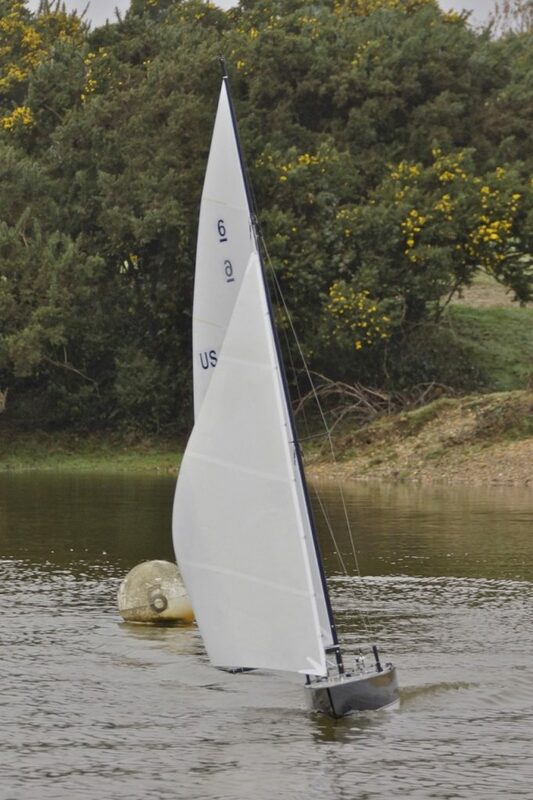 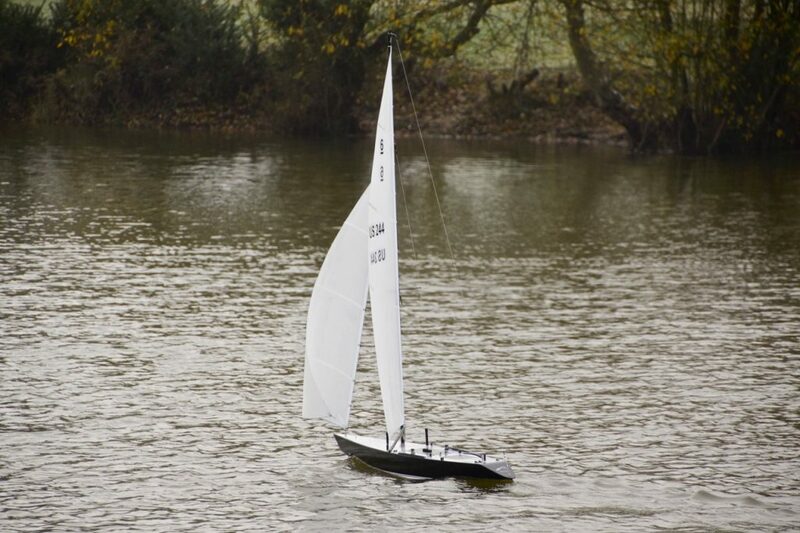 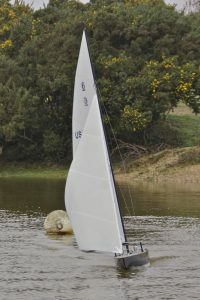 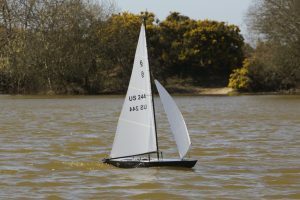 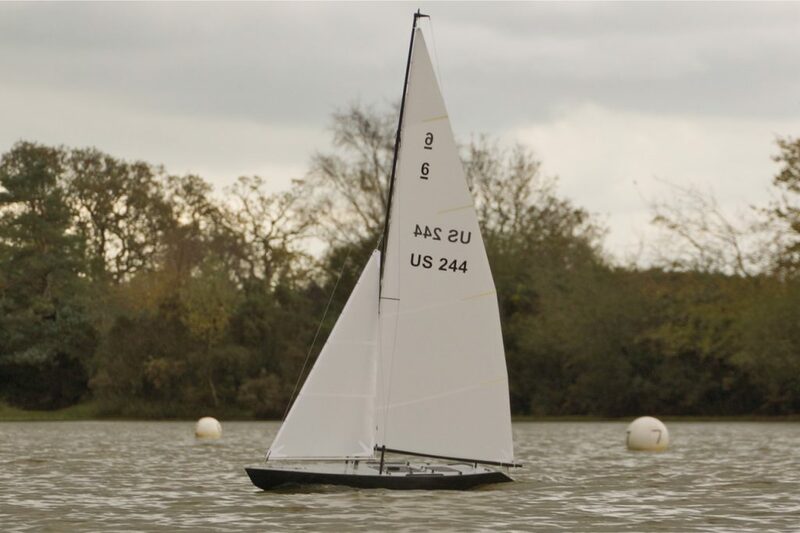 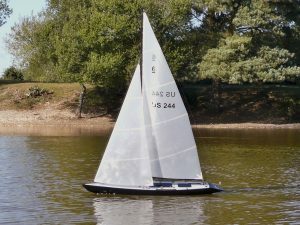 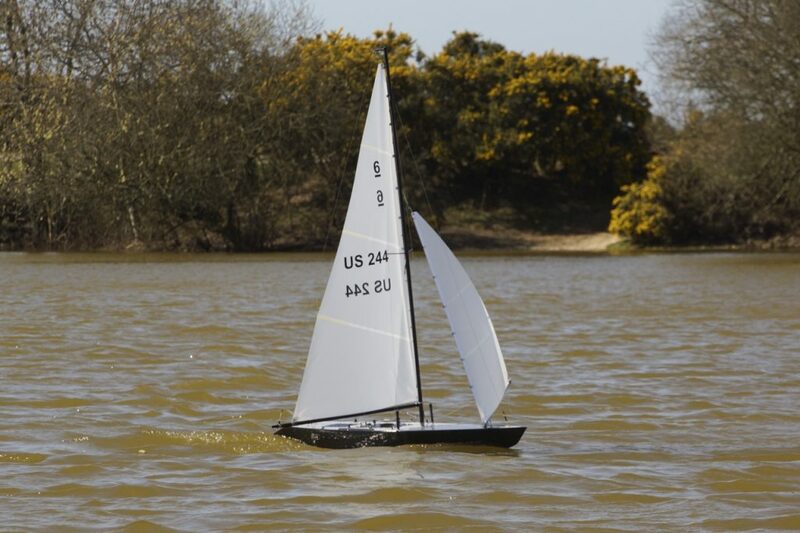 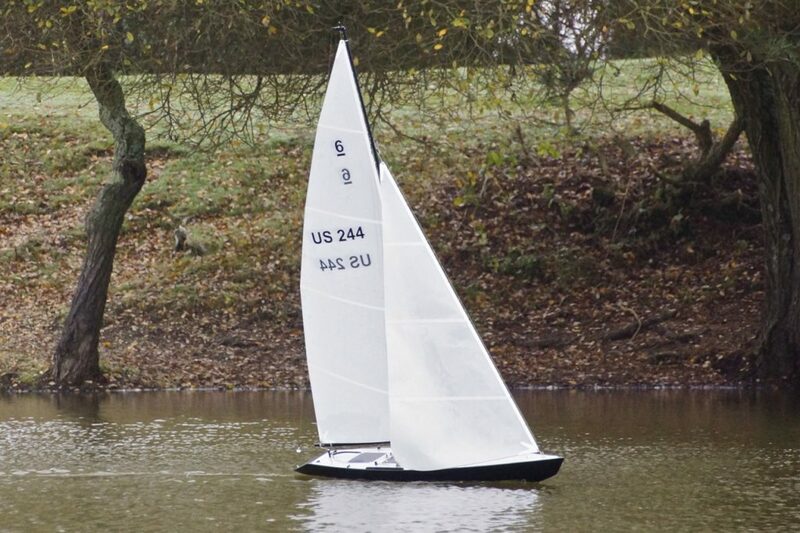 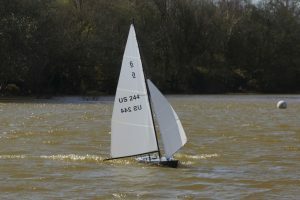 The genoa improves the scale appearance of the boat but sailing it requires a bit more concentration!